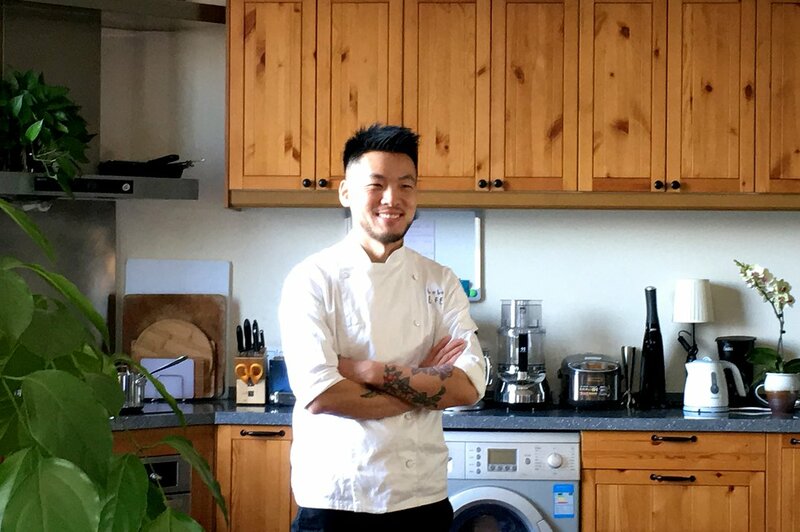 After graduating as the top of his class from Le Cordon Bleu Tokyo, BoboLee co-founded BoboLEE Cake in Shanghai alongside his partner, Andrew Liu, who handles the online cake shop's marketing, PR, and logistics. As a cake designer and baker, BoboLee’s pedigree as a Pastry Diploma graduate shows in his work. His unmistakeably French cakes project a Japanese sensitivity, elegance, and refined simplicity, a marriage of styles hallmark of students from Le Cordon Bleu’s Japanese campuses. Having recently worked at a global whiskey pop-up event co-hosted by David Beckham and Haig Club in Shanghai, BoboLee continues to develop his brand and hone his craft. He sets his sights on more international-level opportunities such as a potential collaborations with Tom Wolfe (renowned celebrity chef and food artist) and Steven Liu (one of China’s most prominent culinary personalities and Ambassador Chef for Le Cordon Bleu China). How would you sum up your experience at Le Cordon Bleu Japan? School was more than just learning baking skills. My classmates and Chefs made the experience so much richer. Japanese chefs like Chef Yuji really made an impression on me because they project this takumi (artisan) spirit that's rare to see. What do you think your biggest take-away from Le Cordon Bleu Japan is? I'm now working on my own brand, BoboLEE Cake, and I my cake designs tend to be simple and elegant. Obviously, taste and quality are very important, but this straightforward aesthetic is something I learned from studying at Le Cordon Bleu in Japan. Any advice for those looking to start their own pastry business? It takes passion to succeed and the willingness to keep learning and improving.